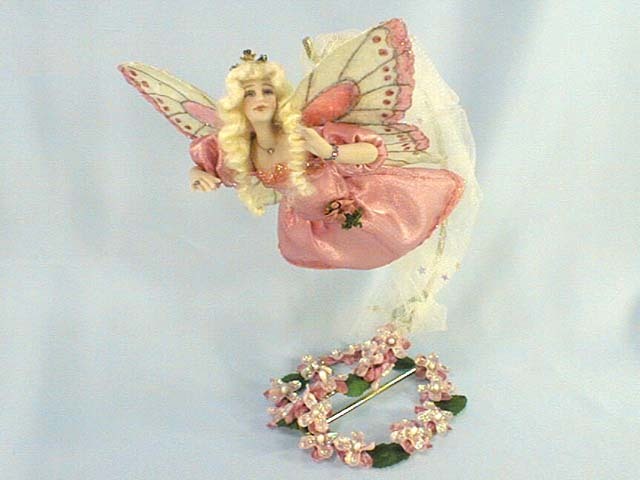 Fairy Princess Mauvaleen is gliding through her fairy kingdom high in the clouds with her fairy flowers below. She wears a shimmering handmade dress with lace. 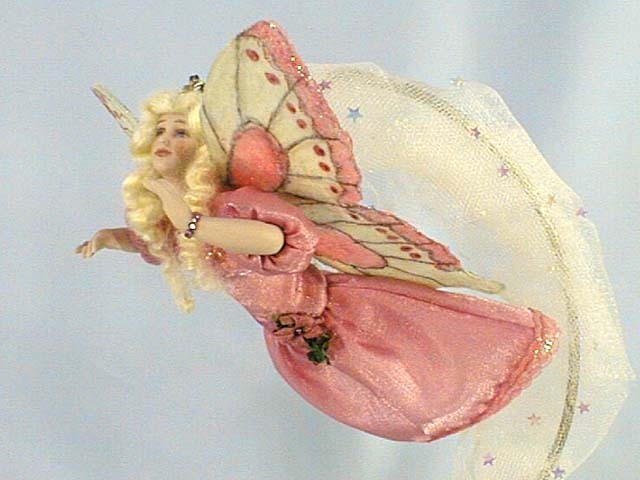 Her handmade, hand painted wings match her dress colors. She sparkles in her fairy jewelry and crown. She may be searching for your home! 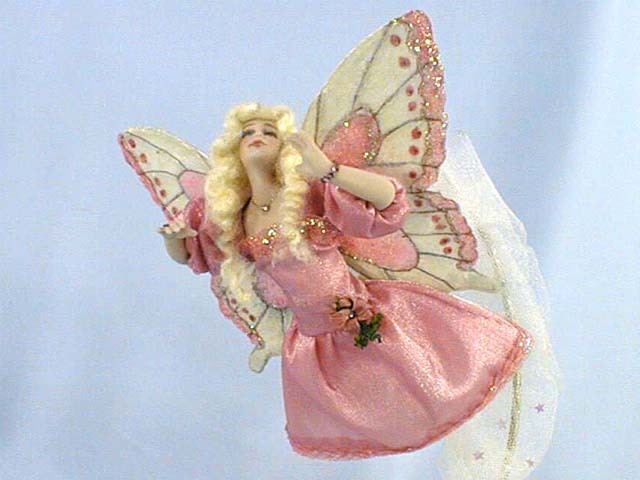 Mauvaleen is a handpainted porcelain miniature fairy doll, about 51/2" tall from head to foot. Her wingspan is about 41/2". On her stand, she is about 61/2" high. A gorgeous, one-of-a-kind creation of the artist JoAnnJ of Galleria d'Juliani, and is hand signed by the artist.